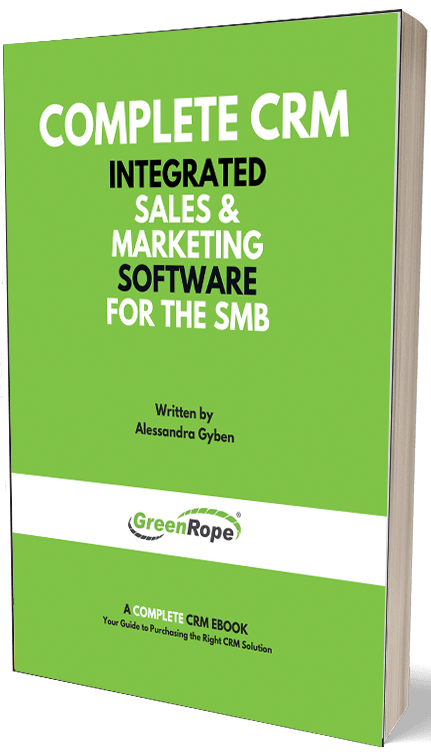 Blog and News | GreenRope :: CRM...What's in it for me? CRM...What's in it for You? How do you build and maintain relationships with your customers online? You certainly don’t have the face-to-face interactions you have if you were in a store, so, in such an impersonal environment, how do businesses build personal relationships with their loyal customers? The answer lies in Customer Relationship Management (CRM). However, what many businesses fail to understand is that CRM should be more than just customer interactions. We believe, CRM is about collaboration, connection, and creativity. Your CRM should not be one fragmented element of your business operations. Instead, your CRM should be integrated with every aspect of your marketing, sales, and overall business operations. There is no way to escape the elephant in the room. You need to be collecting data. But, what do you do with the data once you have it? Well, you don’t need to worry about that because a good CRM will collect and present that data to you in an easy to understand way. Metrics such as clicks, likes, and shares, are extremely important and can be very useful data to reach your customers and leads. If you’re business is on the Internet then you know that there is a flow of interactions. Organizing and tracking all of your interactions in one central location will help your team stay on top of it and help you better meet the needs of your leads and clients. Organization also improves your efficiency and let’s be honest, sanity. You may be operating on four different third party providers for your CRM, marketing automation, accounting, and events. But, wouldn’t everything be much simpler if all of those could be in one place? Yes, absolutely. GreenRope integrates all of the above and more, which makes it easy to access all of your information in one platform. Sure, it may be easy to remember every interaction you have with a few of your longtime clients, but what happens when you get over 50 clients? How do you keep that relationship personal and intimate? A CRM system tracks every chat, conversation, follow-up, email, and more. This ensures that you’re not following up with someone your colleague has already spoken with. It also gives you a full description of each relationship. These three reasons just skim the surface for why you should be implementing a CRM, but those, we have found, hit closest to home with our clients. Perhaps your sales and marketing team aren’t as aligned as you would like. CRM implementation will improve all aspects of your business so it runs more efficiently, giving you more time to manage your people and run your business. To find out more about CRM and GreenRope as a viable option, check out our website, attend our webinars, or read our business success blog!